BILLINGS, Mont. – Derek Kolbaba has so far been the tortoise rather than the hare when it comes to the 2019 season. Kolbaba, though, is starting to speed things up in his pursuit of getting himself back into the World Championship race after beginning the year as a potential championship contender. The 22-year-old won Round 3 of the Billings Invitational, presented by Cooper Tires, Sunday by riding Black Rose for 88.5 points to propel himself to a season-best fourth-place finish at Rimrock Auto Arena. He previously rode Black Rose for 89 points two years ago in Nashville, Tennessee. The round win is Kolbaba’s first of 2019. Colt .45 bucked him off to start the bull rider’s weekend in 2.25 seconds Friday evening. Kolbaba then responded by riding Billy Hill for 86.25 points in Round 2 on Saturday night. The four-time PBR World Finals qualifier was still in contention for the event win in the championship round Sunday before Smooth Wreck bucked him off in 5.79 seconds. It was the sixth time the two athletes have matched up. Kolbaba previously rode Smooth Wreck for 91.75 points at the 2018 PBR World Finals, but Smooth Wreck is now 4-2 overall against Kolbaba. 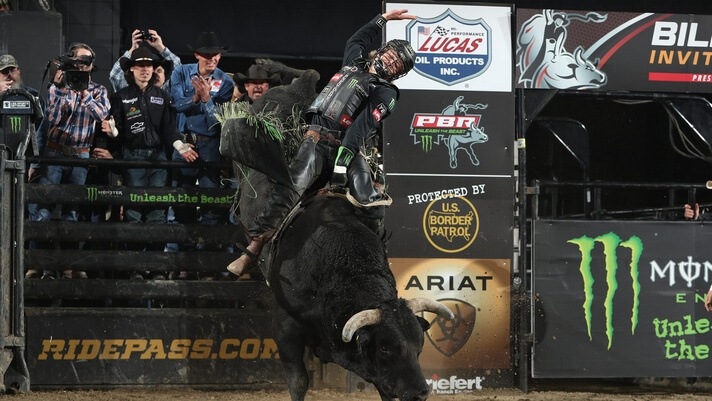 Billings was not the finish he may have wanted, but the Walla Walla, Washington, bull rider picked up a season-best 205 points toward the world standings. Kolbaba will head into the Wrangler Long Live Cowboys Classic in Columbus, Ohio, on April 27-28 ranked No. 15 in the world standings. This is the second time this season Kolbaba has strung together two rides at a weekend. 2019 has not been the start he wanted – 7-for-32 – but he expects things to continue to turn around in the future.